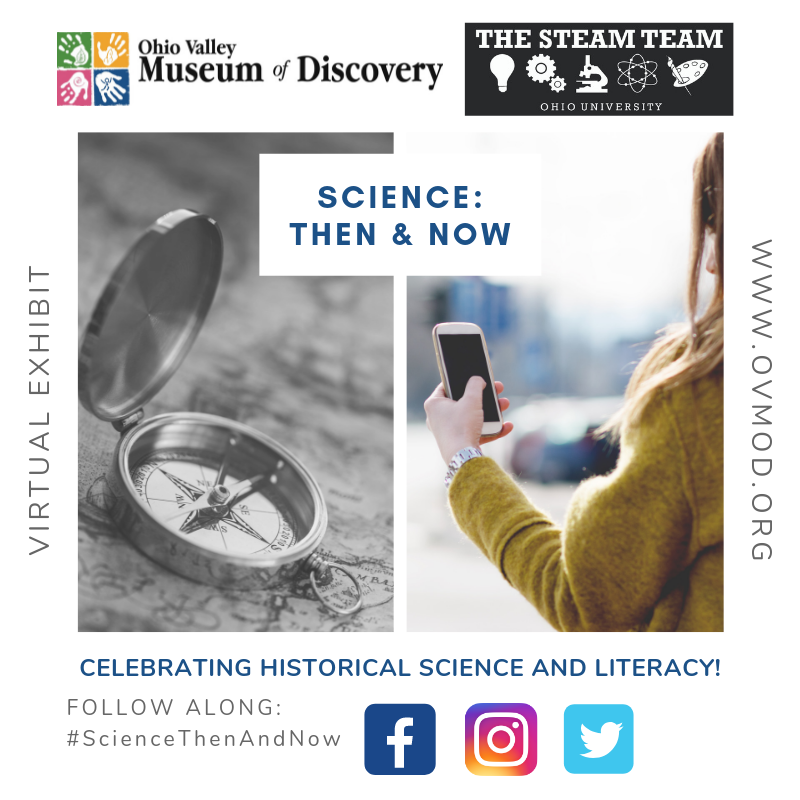 During the month of April, the Ohio Valley Museum of Discovery is celebrating the connection between science & literacy with Science: Then and Now, a virtual exhibit inspired by the Morgan Collection in the History of Chemistry. Curated by the Ohio University STEAM Team in collaboration with Alden Library Special Collections and OVMoD, the exhibit’s thematic goal is to illustrate today’s connections to and advancements from the sciences reflected in the Morgan Collection. The virtual exhibit is delivered via social media with each post comparing an illustration from the 1500s-1700s with a current day image to highlight similarities and/or differences in the science across the centuries. The Alden Library Special Collections is open to the public if you are interested in exploring the Morgan Collection or other special collections on your own. Special thanks to AEP Ohio for their support of the STEAM Team this academic year and Alden Library Special Collections Librarian Miriam Intrator. The STEAM Team is co-mentored by Ohio University professors. Jennifer Hines (Chemistry & Biochemistry) and Mark Lucas (Physics & Astronomy) and by OVMoD’s Executive Director, Jen Parsons.